The following is a brief list of things that your broker probably doesn’t want you to know, but that will definitely change your trading game if you take heed of them. Some may seem a little counter-intuitive, but trust me they work when done right. So without further ado, here’s my list of top six binary options trading tips. One of the biggest fallacies in binary options trading is that shorter trade durations somehow equal more control, in other words more of an ability to capitalise on short-term price swings. It’s a fallacy reinforced by both the brokers; who essentially profit from their clients’ losses, and the traders themselves; who quickly become intoxicated by the rapid-fire thrills associated with ridiculously short trade durations. The most sound piece of advice that I can give you regarding trade durations is this: The shorter the trade duration the more random price action it has to deal with. Binary options brokers love to boast about their all new lightning-fast trade durations and the reason they want you trading at these durations is that the shorter the duration, the more you end up trading and the higher the possibility that you will lose (both due to you trading too much and because shorter trade durations equal more randomness: the one compounds the other). If you are monitoring your asset chart at anything below the hour (i.e. each candlestick represents 30 minutes/15 minutes/5 minutes/1 minute of trading activity) you might as well be trying to predict the outcome of a random number generator. At these durations the market noise is so incredibly high, that trying to read patterns into price action is basically an exercise in futility. So keep your trade durations longer, monitor your charts at longer time frames and go with the wider fundamental trends rather than the miniature ones you witness at shorter trade durations. It flies in the face of everything that you’ve been told, I know, but the truth is that the kind of volatility the markets experience preceding, or in the wake of the release of economic data is “noisy” to the point that it reduces your competitive edge as a binary trader. So much of the “educational” material that binary options brokers offer their clients ends up helping them wipe themselves out even more quickly than they ordinarily would. If you are picking up on a pattern here, it is that increased randomness eats away at your competitive edge. So many binary brokers release videos showing their “head brokers” getting in on the back of high impact economic data releases and cleaning up. If you attempt this kind of strategy time and time again you are much more likely to clear out your trading account rather than clean up. The increased volatility in the run up to, and in the wake of economic data releases essentially means that taking a position either up or down becomes divorced from the fundamentals and becomes much more akin to gambling than anything else. Watch for the data, wait, see how the market reacts, compare this reaction to the long-term trend, and then take your position accordingly. Always remember: Fools rush in, don’t be one of them. 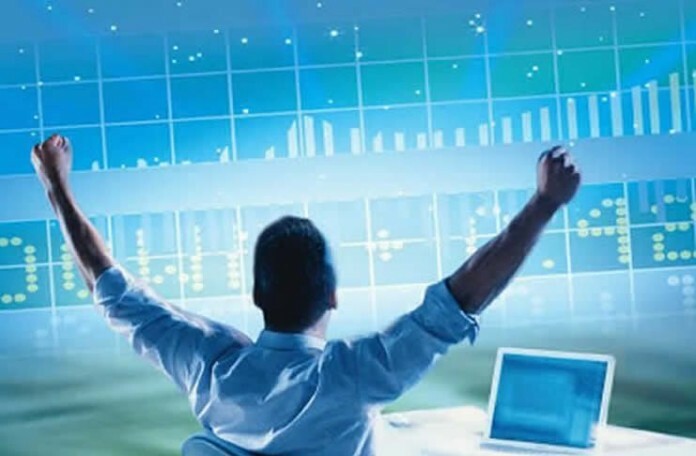 Here’s a little-known fact in the binary trading community: The overwhelming number of technical indicators were developed specifically for stock trading. That’s right, if you’re applying them to the commodity, or even worse currency markets, and expecting them to work wonders for you then you are sorely mistaken my good binary buddies. Also, I hate to break this to you, but regardless of what technical analysts tell you, what happened in the past is not a good indication of what will happen in the future, at all. In addition to this, every technical indicator is lagging, meaning that the change has already taken place before the indicator you have loaded has registered anything. And today’s global, highly interconnected trading environment means that it’s a completely different game to the one that was taking place when most of these indicators were developed. Say you’re trading a currency pair, myopically focusing on your Bollinger bands, or RSIs or MACDs, and a certain leviathan multinational corporation suddenly starts selling off dollars because it needs to buy yen in order to make purchases in Japan, or to balance its portfolio by investing in Japanese bonds. What just happened? Well, your indicators were telling you that USD was oversold and thus primed for a reversal, so you put in a huge CALL trade, only to see your models break down when the aforementioned multinational starts dumping greenbacks for its own ends that your indicators couldn’t tell you anything about. You lose BIG, and the reason you just lost big was that your market strategy was divorced from the fundamentals. Mathematicians like to think that everything can be formalised in mathematical language, but the markets can’t (at present at least), they’re simply too big, with too many players and too many extraneous variables to keep track of. So don’t be overly reliant on technical indicators, and if you do use them, use them in conjunction with a great deal of fundamental analysis. This is obviously tied into the previous point, and also point number 1, but it deserves its own paragraph because it is extremely important. Assuming that taking longer positions and not being a slave to technical analysis, is sound trading advice, then it also follows that a savvy trader does not go against the larger trends. It’s suicide. Whereas if you keep your binary trades in line with the more enduring long term trends, and set your durations to match, you stand a greater chance of having trades that expire in the money. The reason why even traders who know better fail to do this, is that trading these longer trends takes a great deal of patience, it involves having positions open for weeks, or even months, which can feel like putting all your eggs in one basket and limiting your potential profits due to the infrequency of trading this style calls for. Once you start to observe and understand the deeper fundamental trends, not only do your trades stand more of a chance of expiring in-the-money, but you also begin to see these longer trends in other assets and begin to be able to have a stream of long term trades on the go, all earning you money upon maturity. This is the way to go, this is what to aim for. There’s a good reason why binary options brokers don’t place a great deal of emphasis on the longer-term trade durations that they offer, choosing instead to sell you on the idea of 60 second trades and the like. The longer the duration, the less noise and randomness, and the more fundamental analysis can be used to give you an edge. It takes money to make money, this is a cliché, but a cliché for a good reason. And that is that it is pretty true in most circumstances. So, while brokers try to sell you on the idea of minimum deposits you need to be aware that the less you have to trade with, the easier it is to lose it, this is more true in online Forex than in binary options trading, but it still holds for a number of reasons. Less money means you can take advantage of fewer opportunities without putting your risk capital in serious jeopardy. Also a lightweight account balance leads to a similar problem as trading on demo: with the stakes not high enough you fail to connect the seriousness of each trade’s outcome to anything real, little money is a lot like play money, which can lead to flimsy risk management styles and strategies that are unrealistic and unhelpful to you in the long run. A balance has to be struck, don’t pay everything in but the kitchen sink, but if you are serious about trading, make sure your trading account balance is large enough for it to be a serious inconvenience if that money disappeared tomorrow. Making it real, upping the stakes, will bring out the best in some of you, and will lead to serious strategies. This is probably preaching to the choir at this point, most of you will be aware that bonuses are not all they are cracked up to be. But for anyone who isn’t up on this little fact, I had to include it somewhere in this list. This ties in to the previous point, bonus money is not the same as real money, so don’t fool yourself into thinking that it’s okay to pay in a smidgen, and have your broker front you the rest in the way of a flashy bonus. Read the fine print, these bonuses are designed to keep you trading in order to meet trade volume requirements (you can’t withdraw funds if you don’t meet them) that are so stacked in the brokers favour that you will never see that bonus money, or indeed even your own dough again. There’s a reason online casinos invented bonuses, ask yourself why and connect the dots. No bonuses, stay away. Next articleZero growth for the global economy, while the ultra wealthy increase! Thanks James for this insightful article. I always put a lot of emphasis on (#4) when I’m trading binary options. I’ve had some amazing days of trading when sticking to the basics, and some horrible days when I felt emotional in my trades.